You guys asked for it and finally I have something I feel is a good software build test. 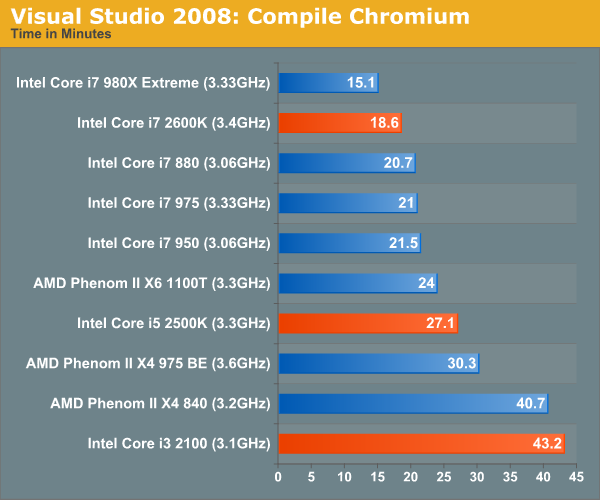 Using Visual Studio 2008 I'm compiling Chromium. It's a pretty huge project that takes over forty minutes to compile from the command line on the Core i3 2100. But the results are repeatable and the compile process will stress all 12 threads at 100% for almost the entire time on a 980X so it works for me. I don't have a full set of results here but I'm building up the database. 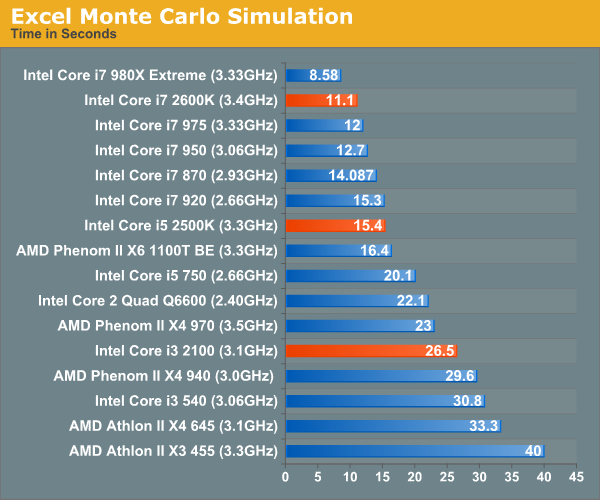 The 2600K manages a 12% lead over the previous generation high end chips, but it can't touch the 980X. 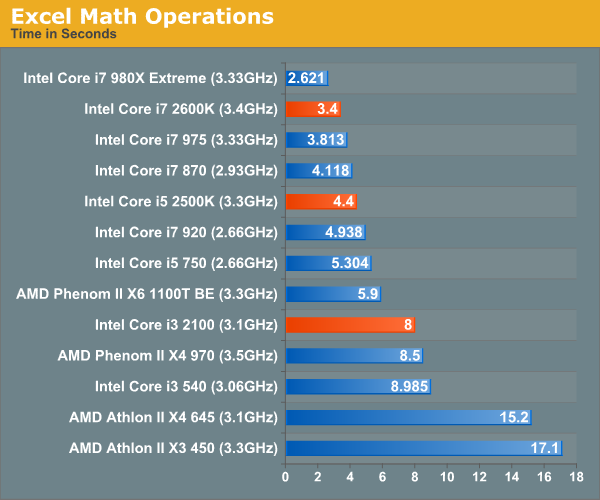 The 2500K does well but it is limited by its lack of Hyper Threading. 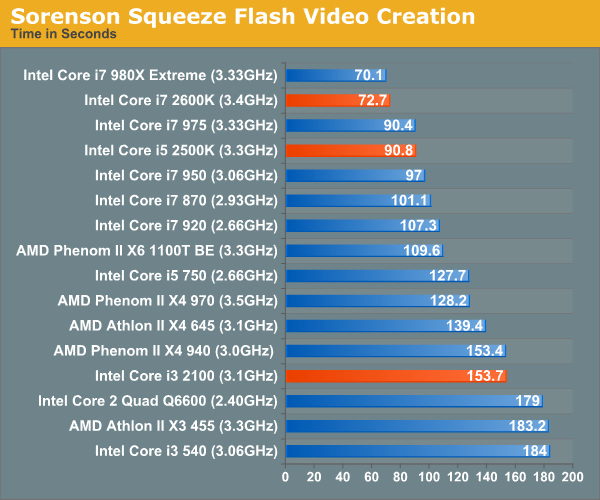 The Phenom II X6 1100T beats it.